- Offset Motor that provides exceptional balance and reduced starting torque to facilitate smooth operation. - Unique direct gear drive builds reliability into every Polivac machine. - The oil filled & sealed gearbox keeps going when belt and pulley drive systems have given up. All over the world in offices, schools, hospitals, retail areas and factories, Polivac machines can be found in operation. 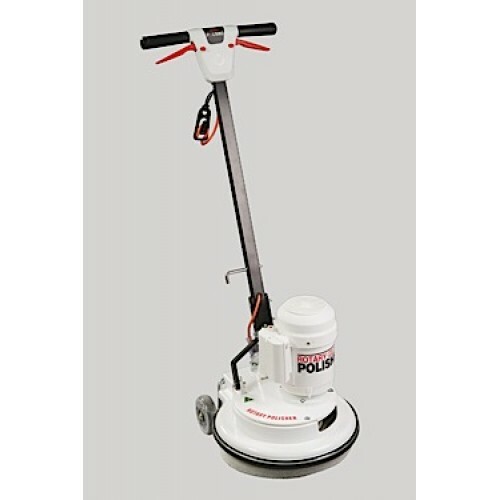 A powerful and efficient range of floor machines, Polivac features the famous Polidrive gearbox and off-set motor to facilitate smooth operation. This unique direct gear drive builds reliability into every Polivac machine. The oil filled & sealed gearbox keeps going when belt and pulley drive systems have given up. Chemicals, dirt and dust cannot reach the drive components allowing the machines to work in the harshest conditions, whether polishing, stripping, or scrubbing without fear of componentry damage. The off-set motor is based on an innovative design to provide exceptional balance and reduced starting torque. This enables the machine to glide smoothly over any surface, allowing easier handling and less operator fatigue. Long life and ease of servicing are built into every Polivac machine with a two-year guarantee. Service and backup is guaranteed with ready access to our service network. Drive pads, brushware, and quality floor maintenance products are always available from our distributors.